Share the post "Bring Beauty to the Bathroom"
You know, we can really tell a lot about how a person takes care of their home by visiting their powder room. And we’re not talking about the interior design or the size of this private room. We mean cleanliness. 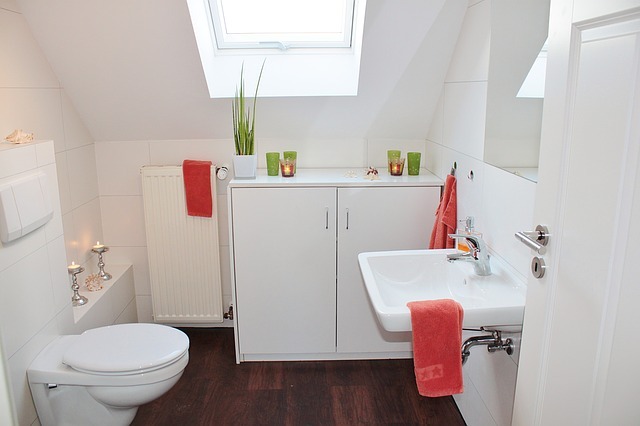 If you have been shirking your bathroom-cleaning duties, fret no more. We have some awesome cleaning tricks for your powder room. No expensive shopping list required here, just some set-aside time, good old-fashioned effort, and your creativity. Who would’ve thought that this simple plastic bag hack would work such wonders? Use this trick to get all of the built-up gunk out of your shower head. Who wants to take a shower when there is soap scum and other debris encrusted in there? Here’s what you can do: simply grab a plastic bag (try for a large, freezer-sized one), fill it with vinegar, and tie it around the shower head so that the entire shower head it submerged in the vinegar. Leave it there for 30-60 minutes and…ta-da! As crazy as it sounds, “canned air” really does exist, and you can find it in home improvement stores (such as Home Depot or Lowe’s.) This is a great solution for a dirty bathroom fan when you don’t want to take too much time out of your schedule. Simply spray that canned air right into the fan to dislodge dust bunnies, lint, and other particles. 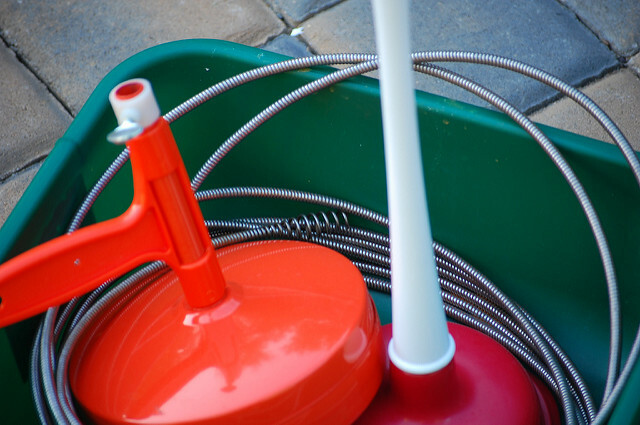 Another handy little cleaning gadget is a drain snake, which can slither down your bathtub or sink drain and pick up everything that is clogging the pipes. You may end up pulling out some pretty nasty stuff, but it will be worth it, because your bathroom will look better, smell better, and clogged drains will be a thing of the past. Just don’t steal the tablets from grandma or grandpa. This cool tip is awesome, because all you have to do is place a couple of denture-cleaning tablets into your toilet’s septic tank and you’re finished! No more gross stains in there. Head to your kitchen for some cream of tartar, which you can apply with a toothbrush to get those rust stains off of your sinks and counters. Just use a small, circular scrubbing motion and then wipe clean. Discard the toothbrush when you’re done, and that’s it! Just a simple combination of two cups of water, ¼ cup of alcohol, and 6 drops of liquid dishwashing soap with clear away any goo and debris from your granite countertops. It is best to put this homemade solution in a spray bottle, for easy application.